K League Classic continues this Wednesday with the 3rd set of games a week with round 26 of the season. The highlight game this round of games is the top half of the table battle between leaders Jeonbuk Hyundai and 5th placed Jeonnam Dragons. Both sides fell to surprise defeats at the weekend and will be looking to bounce back in this one. The league table has finally taken shape after 24 games, but there are a few tight areas remaining. 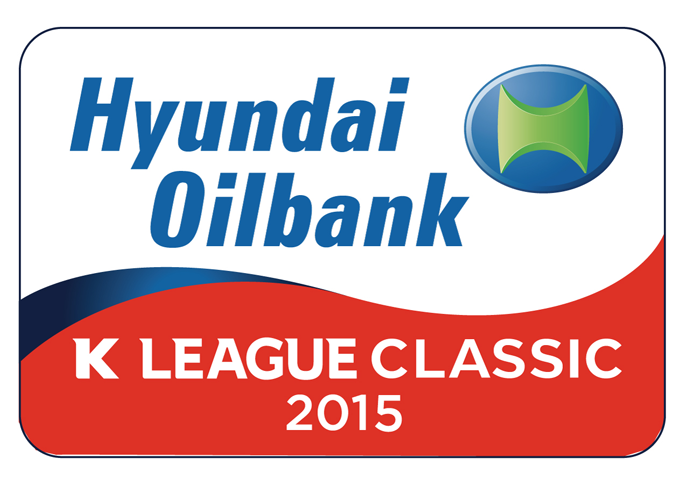 Jeonbuk Hyundai are still top and are 7 points clear. 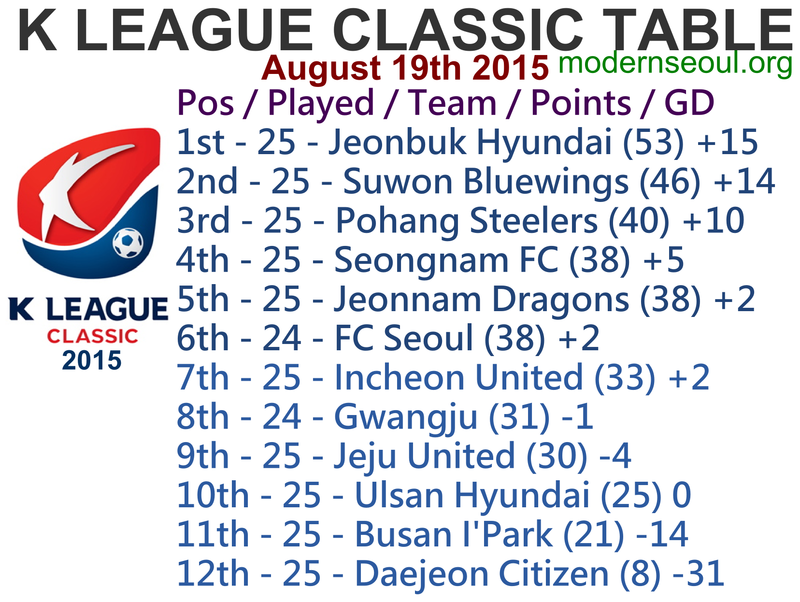 Suwon and Pohang are just behind them, with FC Seoul, Pohang and Seongnam completing the top half all on 38 points. Incheon, Gwangju and Jeju United are separated by just 3 points in 7th-9th. Then come Ulsan, Busan and finally Daejeon who are 13 points adrift, completing the table. Gwangju didn’t play at the weekend but draw their game a week ago vs. Jeonnam. Bottom side Daejeon Citizen are 13 points adrift at the foot of the league, with only 1 win all season. Neither side is on top form but Gwangju will come into this one favorites. Busan I’Park let a 2 goal slip at the weekend vs. relegation rivals Ulsan and are still down in 11th place. FC Seoul didn’t play at the weekend, but are on a 2 game winning run and are solid away from home. Seoul will be slight favorites to take home the win here. League leaders Jeonbuk Hyundai suffered a bit of a hammering this weekend losing 3-0 on the road to Pohang. But have only lost once at home this season and are 7 points clear at the top. Jeonnam Dragons also lost at the weekend and haven’t scored in their last 2 games. Jeonbuk will be favorites despite this past weekends result. Incheon United bounced back from a 3 game losing run to win at the weekend on the road vs. Jeonnam Dragons. They also have the best defensive record in the league. Jeju United on the other hand have one of the worst defensive records in the league and have only picked up 1 point in 4. Incheon will favorites here. Ulsan have looked improved recently and come back from 2 goals down at the weekend to take home a point vs. Busan I’Park. Pohang Steelers have 3 wins and a draw in 4 and are the leagues in form side. This one is tough to call, but we see Pohang edging it just. Suwon Bluewings have scored 6 in their last two games both wins, and are gaining on leaders Jeonbuk. Seongnam FC are also in form with 2 wins and 2 draws from 4, whilst only conceding one. This one will be close and we see a draw being the likely outcome. No K League Challenge action this Wednesday, the league returns this coming Saturday with round 28.